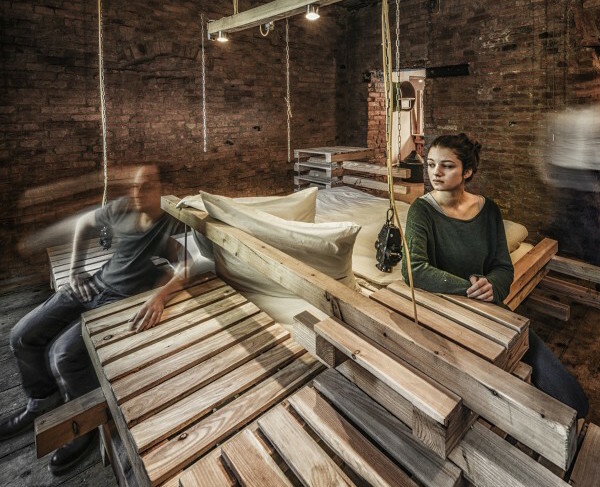 Architecture studio heri&salli designed a set of Viennese Guest Rooms with the main furnishings made entirely from wooden pallets and timber. 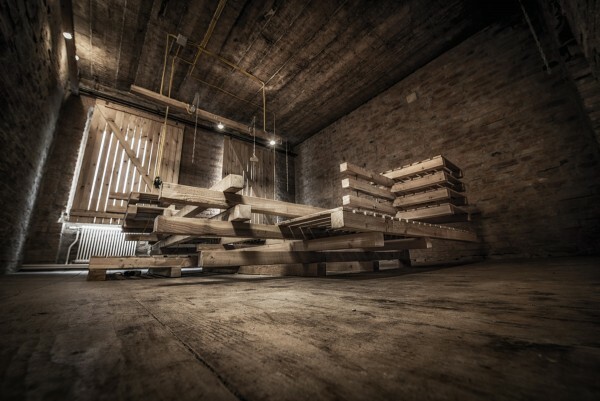 Designed for Vienna’s Gegenbauer Vinegar Brewery, each room features a ‘Viennese Guest Bed,’ a multipurpose piece of furniture constructed from piled up squared timbers. The rooms feature a minimalist and industrial character reinforced by the uncovered ceiling beams, brick walls, and exposed pipes.